Hulu, one of three big reasons why you should probably cut the cable soon, has today announced that it will provide access to its library of streamable TV shows and movies to Nintendo 3DS, Nintendo 3DS XL, and Nintendo 2DS owners. 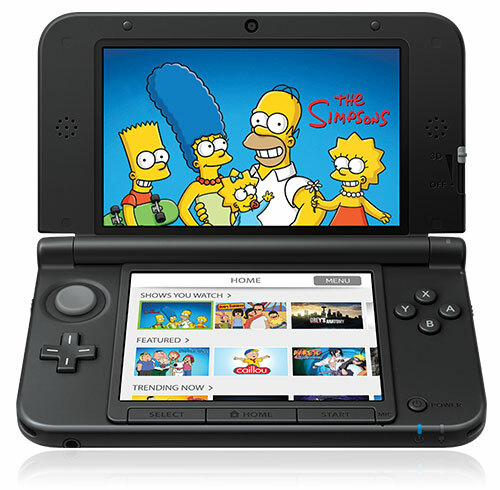 According to the official blog post, Hulu and Nintendo worked together to provide a solid experience across the various handheld gaming devices, one that “takes advantage of the systems’ dual screen option. This means that users can be viewing Hulu content on the top screen while browsing through content options on the bottom screen. And where browsing is concerned, Hulu ensures that it’s the same user experience Huluers have grown accustomed to, with trays for each category of content including recommendations. Moreover, Hulu users who have both the Nintendo 3DS and a Nintendo Wii or Wii U are in luck. Hulu has built out the 3DS app to automatically swap a show from the Wii to the Nintendo 3DS as you leave the house. Clever. The Hulu app on 3DS also comes with a feature called Smart Play, which lets you instantly resume the last episode you were watching on any device from a single button. Finally, Hulu has implemented a Kids Lock on the 3DS app that only lets users surf content from Hulu’s kid’s section, which is pretty important considering the demographic of Nintendo 3DS and 2DS users. As with any new sign-up on Hulu, you’ll get a one-week free trial here.